Includes phone and battery only. No cables or sim card included. *4 INCH LONG CRACKS COVER SCREEN, TAPED UP SCREEN, VERY SMALL SCRATCHES SCATTERED ALL OVER SCREEN & REAR, SCUFFED SCREEN, REAR & CASING. * Device has some scuffs, scratches and/or dings. Clean ESN. T-Mobile. Device is cracked but is in working condition. Nokia is taking to the stage today, and announced the Lumia 925, a pretty metal-rimmed Windows Phone 8 device, which was long-rumored under the Catwalk codename. We've got a 4.5" 1280x768 pixels HD AMOLED display with the ClearBlack filter, which Nokia said is its brightest OLED used to date, and can be operated with gloves. 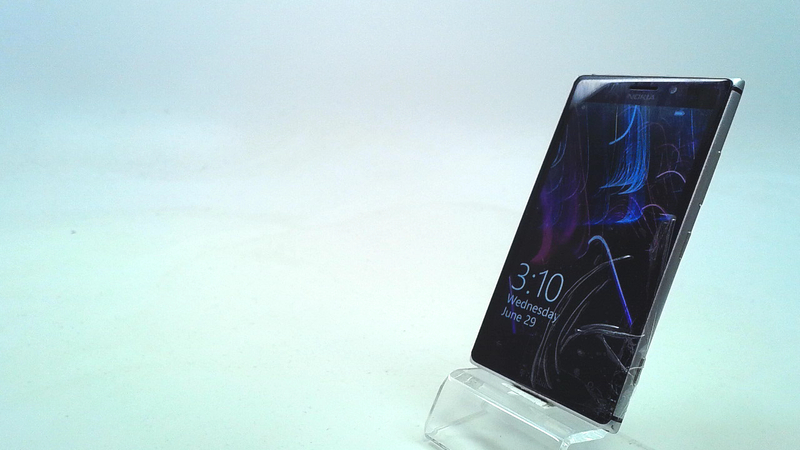 The phone is made of polycarbonate, but sports an aluminum side frame, which also serves as the antenna, and the 8.7 MP camera with Carl Zeiss lens, dual LED flash and optical image stabilization, as found on the Lumia 920. 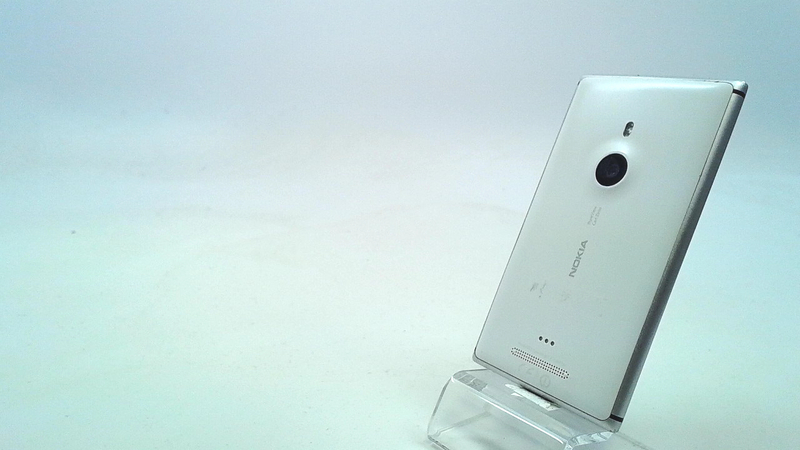 Nokia said the camera algorithms have been significantly improved as well, so all that is left now is to gauge what changes are there from the first samples. The wireless charging capabilities from its predecessor are here as well, but via a cover, hence the phone is much, much thinner and lighter than the 920, at 8.5 mm and 139 grams, respectively. There is LTE and HSPA+ 4G connectivity, a dual-core 1.5 GHz Snapdragon inside, the typical 1 GB of RAM plus 16 GB of internal memory, and a 2000 mAh battery to back it all up.